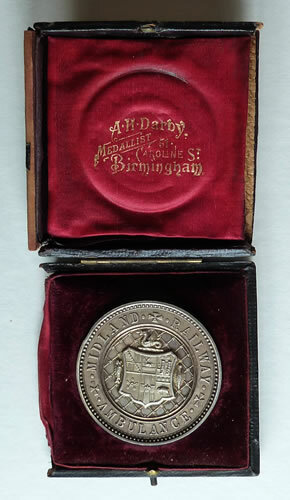 Large boxed Midland Railway Ambulance medal, awarded to A H Twiselton for First Aid Rendered, Bristol 1897. 50mm diameter. Original box has damage.